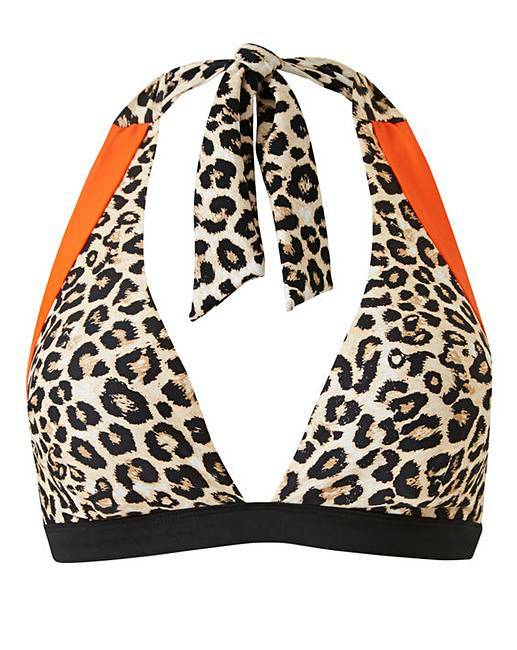 This halterneck bikini top is fun, flirty and fabulous. The halterneck style and cut-out strap detailing to the bust helps accentuate your cleavage and amplify your best bits. With a centre back clasp, neck tie and fixed foam cups, this bikini promises light support and all-day comfort.